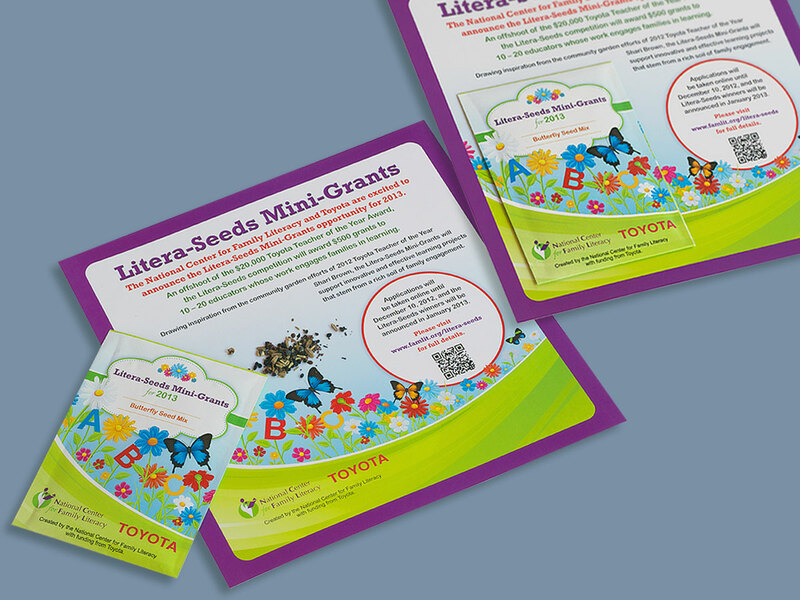 This program, pairing a bilingual brochure and trade show marketing materials featuring a custom seed packet, was jointly funded by TOYOTA to facilitate children’s reading development from birth to age 8. The seed packet adheres to the trade show handout, highlighting details of the ‘Litera-Seeds’ competition, with a QR code linking to an online application. 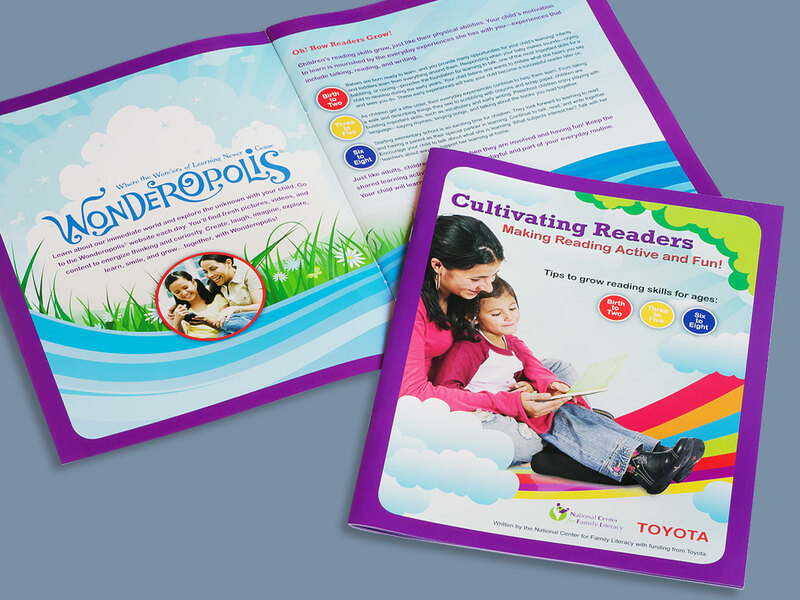 The brochure is inviting and colorful, containing suggestions for parents on teaching their children to read. A perforated fold-out calendar offers monthly reading and literacy activities.